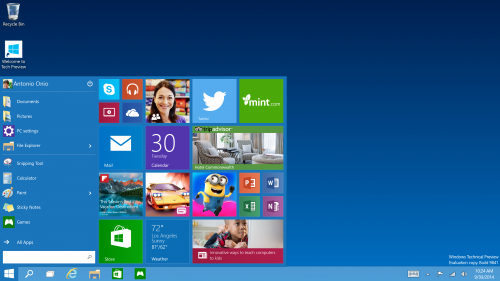 Ready for Microsoft Windows 10? The main philosophy for Microsoft Windows 10 is to have one unified operating system that can run on any device. Not only will your devices seamlessly communicate with each other, but they will all look alike for one user experience. Microsoft seems to have taken the hint, scaling back their massive redesign released in Windows 8. All previews show the familiar home screen, with the Start menu in the bottom corner (where it belongs), and the familiar scrollable nested folders. Next to these, a more palatable touchscreen enabled Live Tile display. The menu is fully customizable and can be resized to be as large or small as needed. If you are a fan of the start screen (and I’m told they do exist), you can set that as your preference as well. No judgement. Windows 10 looks a lot like Windows 7, with some small design changes like a shadow around the window frames and new animations when you resize, open and close windows. You can create multiple “virtual” desktops and run programs on each one. When you snap something to one side, it prompts you to snap something else into the other half of the screen. You can snap up to 4 apps on the same screen. Possibly for those less tech savvy consumers, Windows has introduced the Home folder. This features recent and most commonly used folders and documents for easy access. Ok so this may not interest you as much, but… drumroll, please… copy/paste! Yes, you can copy paste in command mode, in addition to being able to resize the window, set transparency, and use keyboard shortcuts to select and define text. Just like Windows Phone, you can type to Cortana to ask it to remind you to do things, or to search for content locally in apps or on the web. 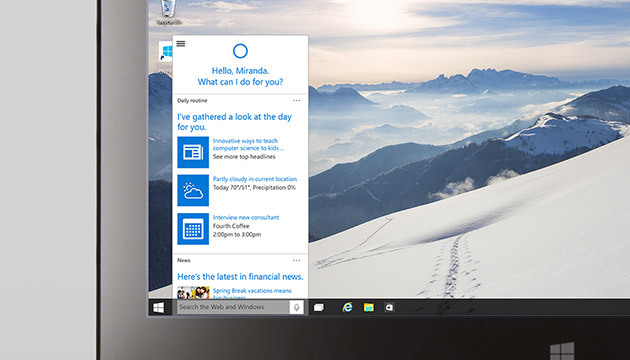 Rather than creating a separate app for Cortana on the desktop, Microsoft will essentially replace and complement the existing search experience that’s available in Windows 8. Designed for tablet/PC combinatons like the Surface Pro 3, Continuum can automatically switch from desktop to a touch optimized tablet mode when it sense that the keyboard and mouse have been disconnected. The allows the user to easily transfer between modes when they need. While not included in the technical preview, Microsoft’s new browser (codename: Project Spartan) will be included in Windows 10 alongside Internet Explorer. The browser will have many features that make it similar to Google Chrome and Firefox, such as the ability to add extensions. Do you want to be part of next Windows? 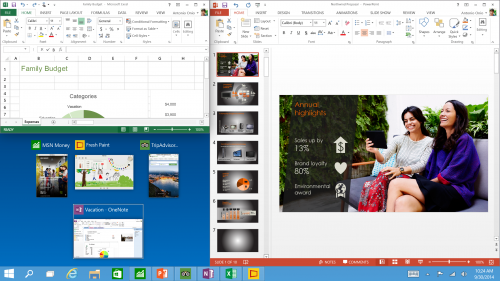 The tech preview is for PC experts who are comfortable with unfinished programs. Windows Corporate Vice President Joe Belfiore recommends that you install this on a secondary PC, so that nothing happens to your important files.